We recommend a complete physical exam for your pet on a yearly basis. Many changes can occur from one year to the next, especially as your pets age. 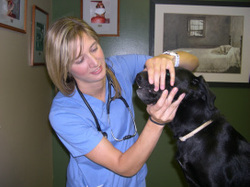 Preventative health care recommendations are made based on examination findings and your pet’s individual needs. We'll advise you regarding your pets need for vaccinations, parasite prevention, nutritional needs, dental care and all aspecst of your pets wellness.